The 11th edition of Hero I-League - India's top football league, was officially launched at a glittering ceremony here today. 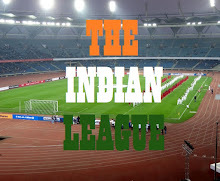 The Opening Ceremony of I-League's last Season as India's Top division was attended by Captains and Head Coached of all Clubs. The Hero I-League kicks off on November 25, 2017 and culminates on March 6, 2018. This year's edition will see three new teams from three different states, Gokulam Kerala FC from Calicut, Neroca FC from Imphal, Manipur and Indian Arrows from Delhi. With their individual football cultures and heritage, these teams will significantly enhance the reach of the league in the country. The Prize Money for the 11th edition has remained unchanged, with Winners and Runners Up pocketing Rs 1 Crore and 60 Lakhs respectively.Third placed team will take home Rs 40 Lakh while 4th placed team will be richer by 40 Lakhs. This edition will witness the country’s elite football league returning to the National Capital, with the AIFF developmental team, Indian Arrows, making a comeback. Though they may have to play their first two games in Goa as Delhi's Ambedkar Stadium is currently hosting 11th North East Tamchon Trophy. The India U-17 team head coach Luis Norton De Matos of Portugal would be their head coach. The team is a mix of India U-17 and India U-19 team players. The 10 teams from eight states of the 11th Hero I-League are – Defending Champions Aizawl FC (Mizoram), Neroca FC (Manipur), Shillong Lajong FC (Meghalaya), Mohun Bagan AC & Kingfisher East Bengal (West Bengal), Minerva Punjab (Punjab), Gokulam Kerala FC (Kerala), Churchill Brothers FC Goa (Goa), Indian Arrows (Delhi), Chennai City FC (Chennai). The first match will kick off on November 25, 2017, between Minerva Punjab and Mohun Bagan in Ludhiana at 17:30 hrs. All the Matches of I-League will be Live on Star Sports 2/2 HD and also Live Streaming will be available on Hotstar.